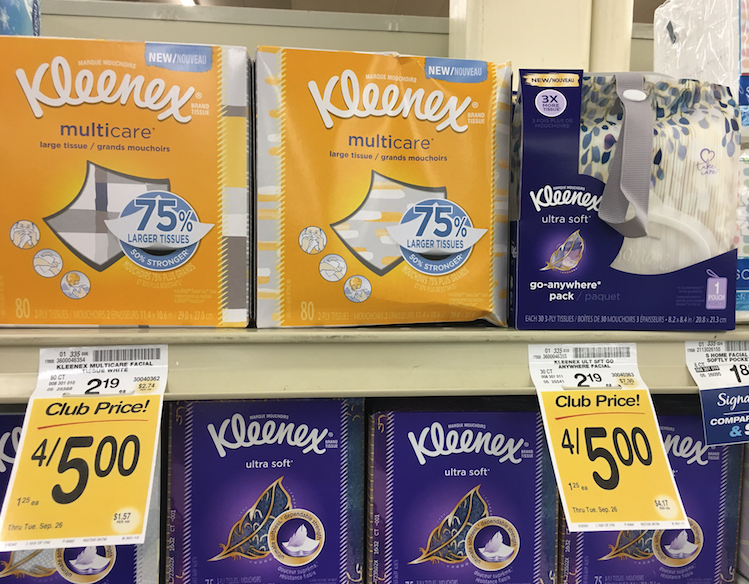 Safeway has Kleenex brand tissues on sale for $1.25 and you can get them for just $1.00 with a Just for U digital store coupon. 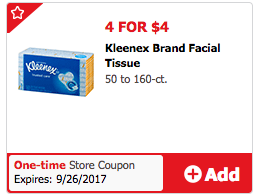 You can stack this store coupon with a manufacturer coupon for $1.00 off 1 Kleenex Multicare Tissues and get Kleenex for FREE. You can also get Anywhere Tissues for just $.25 a box and regular 80 ct. tissues for just $.45 when you follow the deal scenarios outlined below. This is a great time to stock up on tissues to get through cold and flu season! You will need to sign-in to the Kleenex site to print the coupons, but if you have signed up before on any Kimberly Clark site, you can simply login with the same email. I was able to print 6 coupons this morning (2 of each shown below).